I’ve been really into breakfast food lately. More specifically, Belgian waffles. So i went out of my way to buy a Belgian waffle maker and scoured the internet for the best, most authentic Belgian waffle recipes. I decided to substitute cake flour for regular flour, and buttermilk for regular milk, and I’m pretty confident I’ve never had a better Belgian waffle in my entire life. I reviewed about 72 recipes to figure out what I thought would be the best version of the classic Dutch baby pancake. Then I made up my own, and let me tell you….this one is perfect. Sweet or savory, you can’t go wrong. Although lemon on a pancake sounds counterintuitive, the absolute best version in my opinion is simply fresh lemon juice and powdered sugar. I’ve been eating the same meatloaf recipe my entire life. It’s my mom’s very simple recipe that is pretty much perfect. I’ve adapted it to be a bit healthier over the years by substituting ground turkey instead of beef, but I couldn’t resist making this version when I heard it tasted like a cheeseburger. This is anything but healthy, but wow…it’s every bit as good as it sounds, and I will be making it for my family for years to come. 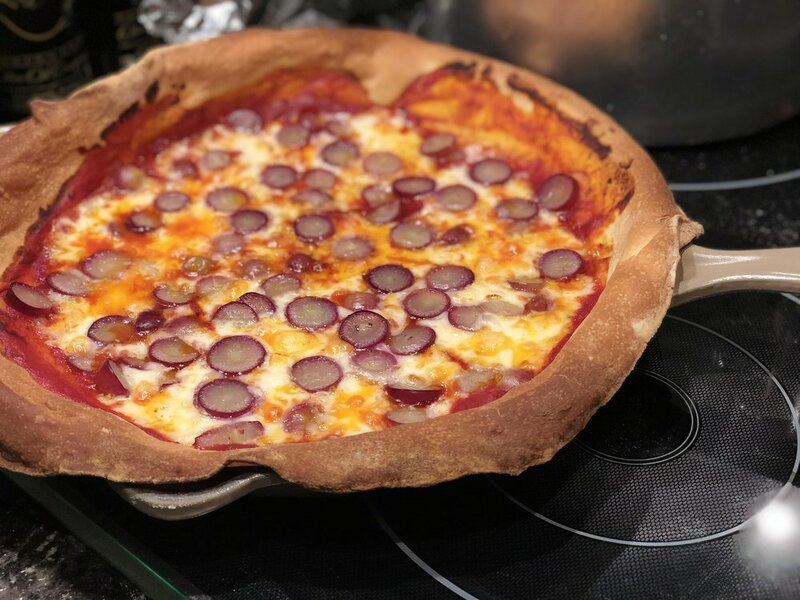 I love experimenting with at-home pizza doughs. This is by far the easiest one I’ve ever made (thanks, Rachael Ray!). It’s obviously waaaaaaaayy easier to order delivery, but you’ll miss out on all the fun.